The Christians, the converts to Christ, met and worshipped in caves and basements. They were sought and murdered; a reality they embraced when they accepted His Word. Yet, in the face of incredible odds, in less than 300 years they peacefully conquered the most powerful empire on Earth. That feat alone is enough to convert anyone who considers it with an honest mind and an open heart. No religion has accomplished what Christianity has accomplished. No ideology. No school of thought. No idea, no government, no political system. Nobody else, nothing else has ever lit the world on fire like the Gospel. Soon, Christ’s message would make it to every corner of the world, and it would be the driving force of civilization for two thousand years. Christians would go where nobody else would go, and serve those who nobody else would serve, and win souls that nobody else could win. Christianity is diversity. It speaks to all kinds of people, and fits into the totality of the human experience. It isn’t broad like a sitcom is broad, but it isn’t narrow like an alley or a political party is narrow. It’s deep, it’s universal. It meets us where we are, and lifts us to a better place. We Christians are soldiers in a cosmic struggle, and the war is still raging. Many have died in the flesh, or much worse, in the spirit. Governments and kingdoms of men have tried to exterminate the Truth, but all have failed. Christianity is a religion of peace and love, but it’s also a warrior’s faith. It isn’t a blanket to hide under, it’s a battle flag to march under. It doesn’t hide us from the pain and suffering that this world has to offer — it commands us to endure it, confront it, and find the beauty in it all. 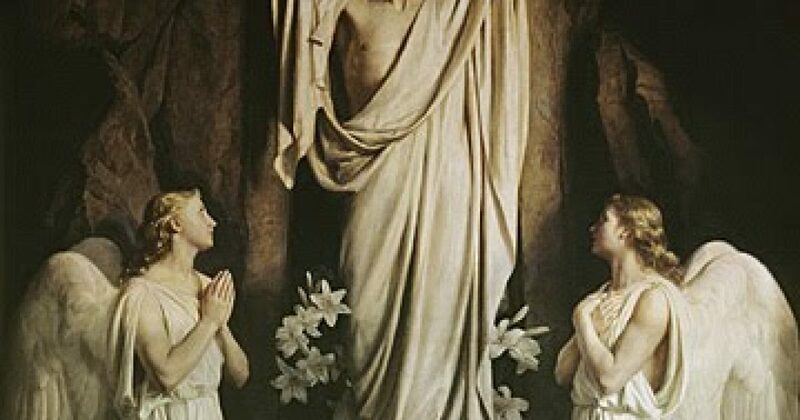 Easter reminds us that there is an end to the suffering and a purpose in the pain. Jesus Christ rose from the dead. He triumphed over evil. And He will come again in glory to judge the living and the dead. This is what I believe, and I am not ashamed.